The page infamous for spreading "crisis actor" conspiracy theories has been offline for as yet unexplained reasons. 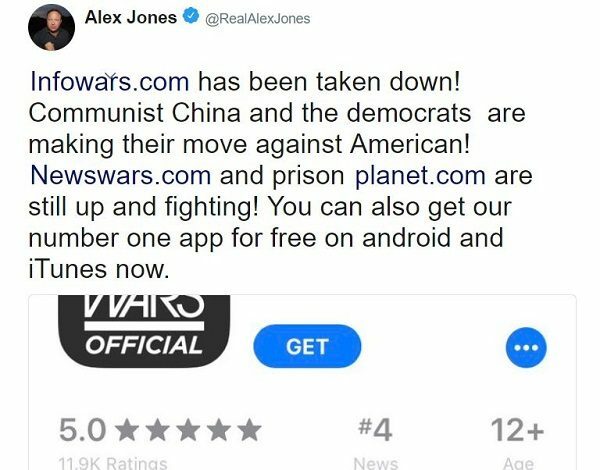 The web site associated with Alex Jones’s conspiracy trolling network InfoWars went down on 14 August 2018 amid legal woes and a series of digital platforms banning its content. 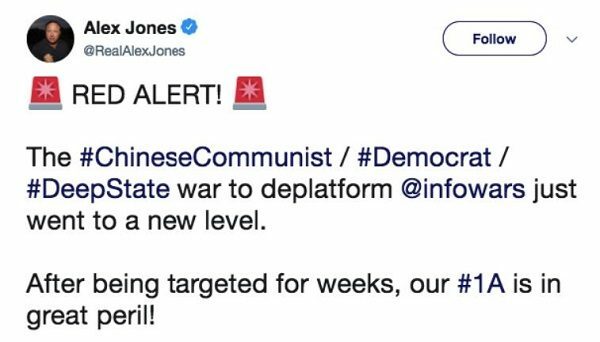 Both Jones and InfoWars have been able to maintain a presence on Twitter, where Jones has a verified profile. 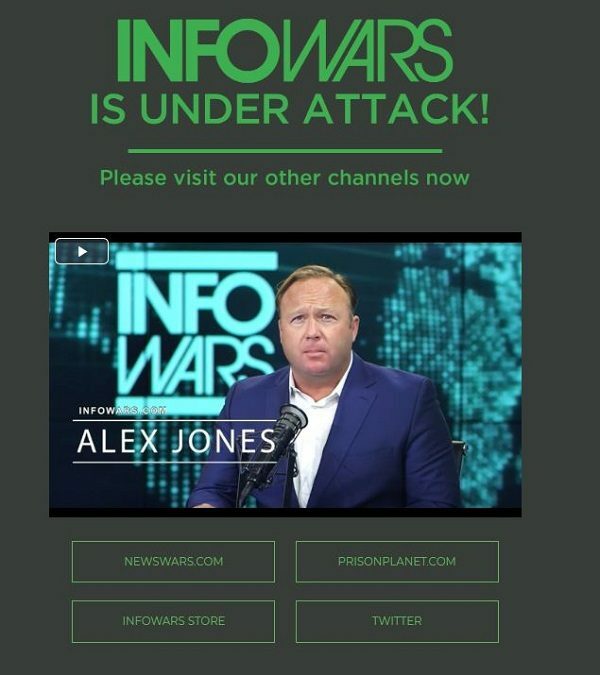 Jones and InfoWars are currently being sued for defamation by the parents of a six-year-old Noah Pozner, who was one of the 26 Sandy Hook Elementary students and staff murdered during the 2012 massacre. Jones promoted a conspiracy theory to his millions of fans that the school shooting was in fact a hoax created by the government to facilitate taking away Americans’ guns so that a secret cabal of all-powerful globalists could subvert U.S. sovereignty. Jones claimed the victims of that attack were “crisis actors” and that the entire tragedy was fabricated. The Sandy Hook families have been stalked, threatened, harassed, and generally tormented as a result.